The inside of a car battery is made up of various components, but the backbone of every vehicle battery is the positive grid. The positive grid is what starts your car and most commonly is the reason for battery failure. 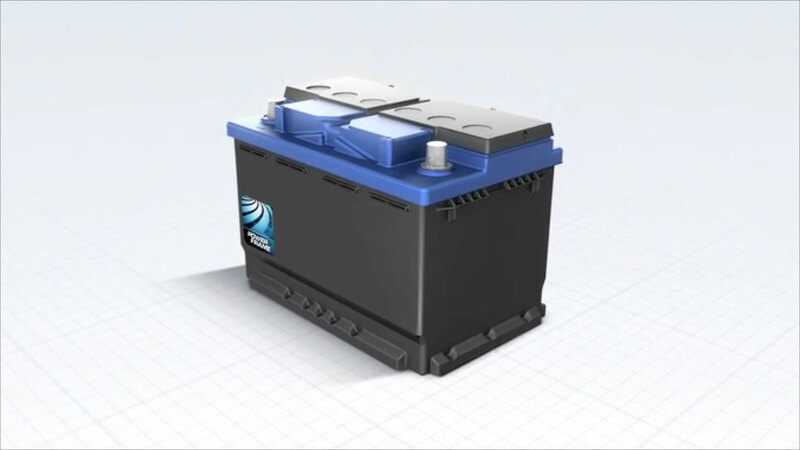 PowerFrame® grid technology provides the design to ensure the backbone of your battery is durable and provides optimum performance. Johnson Controls was the first manufacturer of lead-acid batteries in the world to produce a stamped grid. We have been perfecting the PowerFrame® grid technology for over 15 years and servicing customers with it for over 10 years. PowerFrame grids are made by rolling metal into strips that are then stamped into the grid shape. The process is continuous and provides the greatest flexibility for power optimization. The rolling process elongates the grain structure, which helps resist corrosion and provides strength even under extreme conditions. PowerFrame technology is different from cast grid technology, which is made by a book mold casting process.